If you have ever wanted to build your dream house in Costa Rica this is your chance. 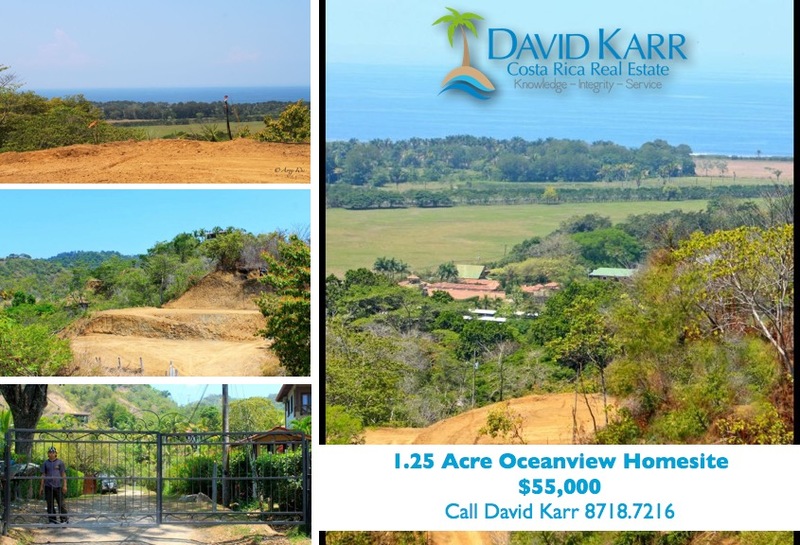 Dramatic ocean view lot, 1.25 acre in size, located must 2 miles form the beach in a small gated community with an unbelievable low $25 per Month HOA fee to cover the security at the main entrance. This beautiful homesite features a backdrop of lush, rainforest and mountainviews while overlooking amazing oceanviews of Playa Hermosa. You will not find this type of opportunity in Costa Rica so act fast. Contact for more details US DIRECT 509.855.7457 or in Costa Rica 8718.7216.